Serena Williams’ loss to Naomi Osaka in the U.S. Open final, more specifically the manner in which she lost, certainly drew a strong reaction across the sports world, and that topic dominates the discussion this week on Just Another Sports Podcast. Sports editor Josh Smith and features editor Colin McGuire sharply disagree with host Greg Swatek about the way the event unfolded and how it should be perceived. Josh and Colin argue that chair umpire Carlos Ramos overstepped his bounds in citing Serena for infractions that aren’t commonly called, and that, as one of the finest champions in all of sports on one of the grandest stages in tennis, Serena should have been afforded more leeway in terms of blowing off some steam. Greg, on the other hand, counters that the umpire was simply doing his job, although by the strictest letter of the law, and that Serena’s reaction was unnecessary and over the top. Tune in to hear how the debate plays out. They all agree it was a sad moment that tarnished what should have been a career-defining and life-changing moment for Osaka. The guys also discuss in detail the opening week of the NFL season, and Colin laments some poor betting advice that Greg allegedly gave him. Maryland upset Texas for the second consecutive year. Nick Saban is snapping at reporters for asking legitimate questions. The NFL season is about to start, and Nike just made Colin Kaepernick the face of a major ad campaign. Sports editor Josh Smith, features editor Colin McGuire and host Greg Swatek dive into all of that and more on this week’s episode of Just Another Sports Podcast. Does Maryland’s big win over Texas say more about the Terrapins and the Longhorns? And has any college football program underachieved more than Texas in recent seasons? Why are college football coaches like Jim Harbaugh and Nick Saban made by adoring fan bases to be more than what they are, which are mistake-prone individuals who don’t win every big game? As the NFL season starts, what teams are likely to surprise and what teams are likely to disappoint? And Colin explains why he feels Nike’s ad campaign with Colin Kaepernick was so powerful and important. Should the NFL keep or eliminate preseason games to extend the regular season? Is the NFL preseason fixable? That’s a subject sports editor Josh Smith, features editor Colin McGuire and host Greg Swatek tackle on this week’s episode of Just Another Sports Podcast. While nobody likes the preseason, there doesn’t seem to be an obvious solution to fix it. The owners are open to converting two of the preseason games into regular seasons games that count, thus creating an 18-game schedule, but the players cite safety concerns. The players and fans would like some of the preseason games to just be eliminated, but the owners cite a loss of revenue. Does it even matter in the grand scheme of things that the preseason is so flawed? Or will it just always be something that everyone has to live with in its current format? Plus, the guys touch on Tom Brady’s refusal to talk about his trainer in radio interviews, the start of the college football season and some of their favorite sports movies. Colin is also very excited about the opening of a sports book at the casino and race track in Charles Town, West Virginia. On this week’s episode of Just Another Sports Podcast, sports editor Josh Smith, features editor Colin McGuire and host Greg Swatek wonder why the University of Maryland has not yet fired football coach DJ Durkin. And should the removal of leadership in College Park stop with Durkin? The corrosive culture of college football is once again under the microscope. Why were fans camped out on lawn chairs at Ohio State while coach Urban Meyer met with university officials about his future? Was Meyer’s three-game suspension adequate punishment or did he deserve to be fired to after tolerating an alleged domestic violence episode involving one of his assistants? Will anything ever change about the way big-time college football programs operate? Plus, the Nationals essentially throw in the towel on their season. The Redskins signed Adrian Peterson. And the guys find another way to do a Tiger Woods segment. On this week’s episode of Just Another Sports Podcast, the culture of football comes into focus. As controversial training methods with the University of Maryland football program that contributed to the death of a player came to light, sports editor Josh Smith, features editor Colin McGuire and host Greg Swatek discuss the public’s and media’s reaction to the story and how the university should handle its ongoing fallout. While Terrapins coach DJ Durkin is likely to lose his job, should Ohio State Urbana Meyer keep his after he reportedly knew that one of his assistants physically abused his wife and kept him on the staff? Does Meyer’s success as a coach insulate him more than it should? Is anything likely to change about how big-time college treat their players or prepare them for games? The guys also discuss Tiger Woods’ second-place finish at the PGA Championship, the Nationals’ fizzling playoff hopes and the impressive play of some NFL rookie quarterbacks in training camp and the preseason. On the heels of Hall of Fame weekend for pro football, this episode of Just Another Sports Podcast takes a hard look at the Baseball Hall of Fame and who should be in and, more specifically, who shouldn't? FNP managing editor Chris Kinsler joins sports editor Josh Smith and host Greg Swatek for this special episode. Kinsler is embarking on an ambitious product of chopping the Baseball Hall of Fame down to the 100 most deserving players, according to him. Kinsler feels the Hall of Fame is somewhat watered down by many players who were very good players, but don't quite fit the stature of being worthy of the Hall. The guys discuss some of the most prominent guys who should not be in, as well as some of the most egregious snubs. Kinsler also shows off his encyclopedic baseball knowledge by discussing in detail some of the more obscure players who have been enshrined. What inspired this project? And how does he retain all of this information? Kinsler tells us on this week's episode. In this week’s episode of Just Another Sports Podcast, hosts Colin McGuire, Josh Smith and fill-in Allen Etzler talk the Nationals holding onto Bryce Harper, the Orioles cleaning house and the battle for supremacy in the AL East between the Red Sox and Yankees in an MLB post-trade deadline special. The trio also look ahead to Lamar Jackson’s debut in the NFL Hall of Fame Game and the reported fight between the NBA’s Draymond Green and Tristan Thompson. In the midst of an eventful summer on the D.C. sports landscape, Washington Post columnist Barry Svrluga joins sports editor Josh Smith, features editor Colin McGuire and host Greg Swatek on this week’s episode of Just Another Sports Podcast. Svrluga, who built his reputation on covering a wide sports very well, shares his insights and perspective on the Capitals’ Stanley Cup run, the struggling Nationals, the chances that Bryce Harper stays in Washington and the recent resurgence of Tiger Woods. After two solid months of regularly covering the Capitals run to the Cup, did the thrill of the story outweigh the grind and all of the late nights while on the chase? And, following years of failure, why were the Capitals finally able to break through this season? How concerned should the Nationals be with a below .500 record in the final week of July? How much money will Bryce Harper command on the open market? How close is Tiger Woods to actually winning? And just how is he able to stay on top of so many sports and cover them all so well? Svrluga also talks about the road that led him to becoming a sports columnist at the Post. After graduating from Duke University, he covered sports in the small town of Portland, Maine as well as Raleigh, North Carolina. He also shares his thoughts on the Post has become an industry leader in terms of putting female sports writers on prominent beats. 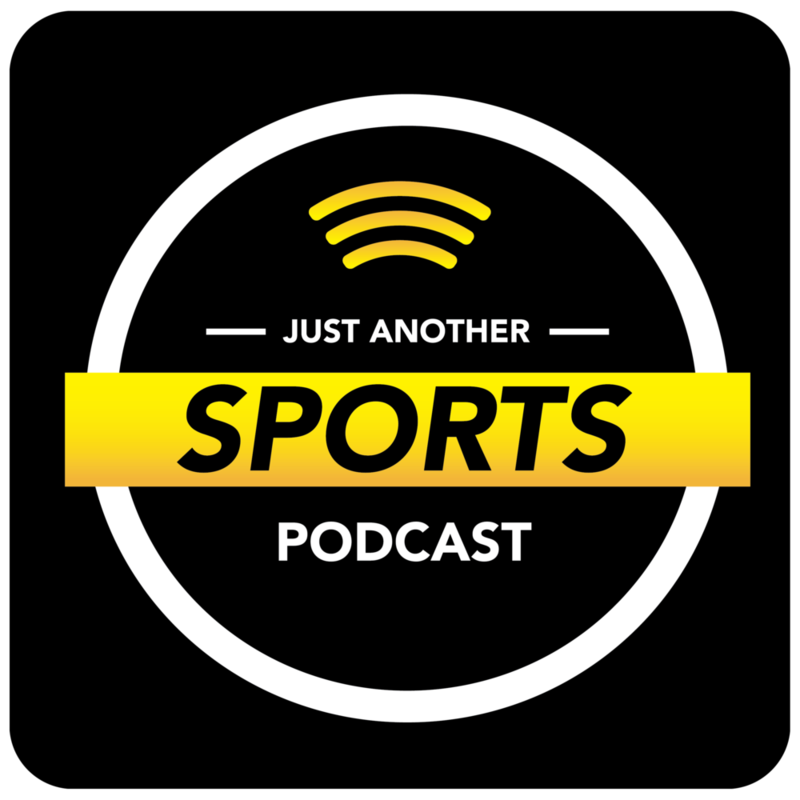 On this week’s episode of Just Another Sports Podcast, host Greg Swatek and features editor Colin McGuire welcome News-Post managing editor Chris Kinsler, who is filling in for a vacationing Josh Smith. Chris, a former sports writer and very knowledgeable sports fan, shares his experience of attending Monday’s Major League Baseball Home Run Derby at Nationals Park with his family. The guys also discuss whether the MLB All-Star Game has lost any of it’s luster. Where does it rank compared to all-star games in other sports? Plus, there are a pair of major trades that are pending. The Orioles are on the verge of sending Manny Machado to the L.A. Dodgers for a handful of prospects, and, in the NBA, the Spurs are about to trade disgruntled Kawhi Leonard to the Toronto Raptors. The guys react to these moves and share their thoughts on the latest NBA news in general. Features editor Colin McGuire returns this week only to find that sports editor Josh Smith is off tending to family obligations. Nonetheless, Colin and host Greg Swatek have a myriad of topics to discuss. A surprising World Cup final is set between France and Croatia. What has this tournament told us about its future? Who will the stars be four years from now? Is expanding the tournament a good idea? After missing last week, Colin offers his takes on all of the big NBA news, including LeBron to the Lakers and DeMarcus Cousins to the Warriors. Is Golden State as unstoppable as everyone thinks it is? Plus, with the Major League Baseball All-Star Game set to take place in Washington in less than a week, why hasn’t there been more buzz about the game in this area? What are some reasonable steps that can be taken to improve baseball? How much of the game is fixable? 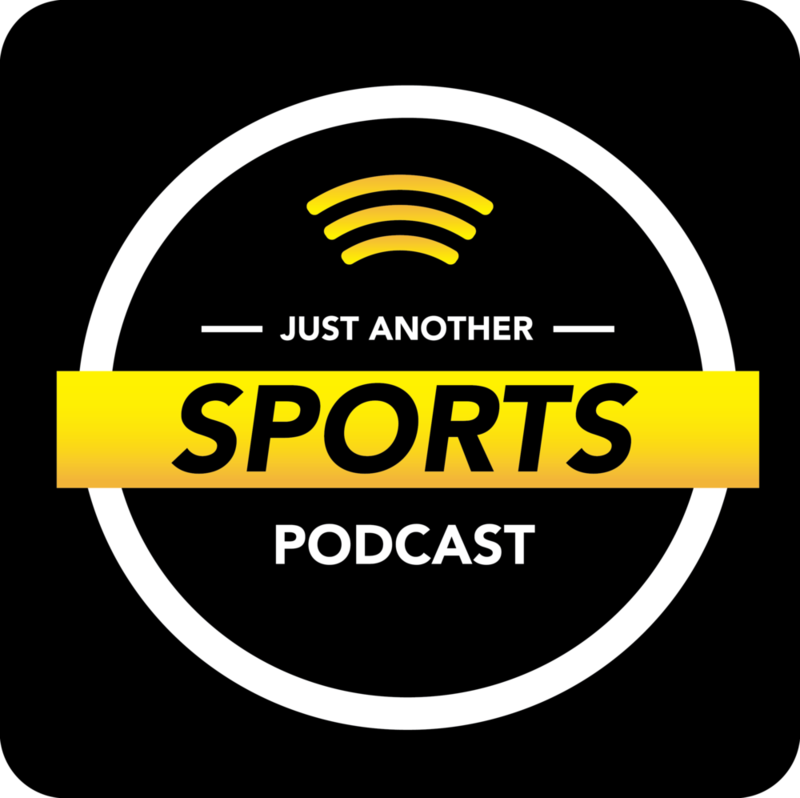 With features editor Colin McGuire wandering around and hopefully not lost in the woods this week, sports editor Josh Smith holds down the fort with host Greg Swatek on this episode of Just Another Sports Podcast. All of the big NBA news over the past week is discussed in detail. Is the future of the NBA as we know it in peril since All-Star center DeMarcus Cousins signed with the Warriors? What sort of impact will LeBron James have with the Lakers? Will Dwight Howard help the Wizards become more of a contender? In baseball, major decisions have to be made about the Orioles' future by the end of the month. What should they do? Will the people making the major decisions be around much longer? Plus, why are the Nationals struggling so badly? And why doesn’t there seem to more of a buzz around the All-Star Game being in Washington in two weeks? Josh and Greg name the best athletes they have watched in person in every major sport. They also share their thoughts on the World Cup and Tiger Woods as the pied piper of golf. Back and refreshed after a week off, sports editor Josh Smith, features editor Colin McGuire and host Greg Swatek make the most out of a dead period on the sports calendar on this week’s episode of Just Another Sports Podcast. The guys touch on the struggles of the local professional baseball teams. With nothing left to play for this season, what sort of moves should the Orioles be making as the trade deadline approaches? Is it even worth considering the idea they would leave Baltimore if the dispute over the MASN TV money doesn’t go their way? Josh reaffirms his faith in the Nationals as championship contenders even though they haven’t been playing that well lately. Bryce Harper is not exactly lighting it up in a contract year. So, how much would he really be worth on the free-agent market? Plus, the World Cup, Phil Mickelson’s controversy at the U.S. Open, potential landing spots for LeBron James in free agency and old-time professional wrestlers, including Razor Ramon (Scott Hall) who will be appearing at a Frederick Keys game this week, are discussed. Entering what would normally be considered a dead period on the sports calendar, there is no shortage of topics for sports editor Josh Smith, features editor Colin McGuire and host Greg Swatek to dive into on this week’s episode of Just Another Sports Podcast. The Capitals won the Stanley Cup and celebrated (and celebrated!) for days. The NBA Finals ended with another championship for the Golden State Warriors and more drama from LeBron. Justify became the 13th horse to take the sport's Triple Crown, and Rafael Nadal won his record 11th championship at the French Open. All of these topics are addressed in detail, in addition to very early thoughts on the World Cup and the U.S. Open. Plus, do other horses really react to Justify in a different way? This episode is as pleasing to listen to as the voice of late wrestling manager Paul Bearer or a Nadal grunt. Tune in to find out. With Stanley Cup fever raging around the Washington Capitals, sports editor Josh Smith, features editor Colin McGuire and host Greg Swatek offer their thoughts on the series on this week’s episode of Just Another Sports Podcast. Colin share his experience of being outside the arena for last Saturday’s Game 3 with a sea of red-wearing and surprisingly sober (alcohol could not be legally consumed outside of the bars) hockey fans. Then, the guys offer their take on the NBA Finals and the steady march to another seemingly inevitable championship for the Golden State Warriors. Will the Golden State dynasty chase LeBron James out of Cleveland again? Where is the most logical spot for him to land if he does leave? Plus, how foolish was now-departed 76ers general manager Bryan Colangelo to use burner Twitter accounts to respond to critics? Will Justify capture the Triple Crown, and what sort of impact would that have on interest in horse racing? NBA finals game 1, then, did the Caps' win over Vegas in game 2 break their playoffs jinx? Later in the week than usual, host Greg Swatek, features editor Colin McGuire and sports editor Joshua R. Smith — not J.R. Smith — discuss the mind-bending NBA Finals Game 1 win by the Golden State Warriors, who survived to win in overtime partially thanks to a mental blunder by the Cavaliers' most mistake-prone player. How badly did J.R. Smith — not Joshua R. Smith — hamper Cleveland's chances at winning the series when he failed to go up for a shot after rebounding a missed free throw by teammate George Hill with the game tied and less than 5 seconds left Thursday night? The guys ponder just what's with these star-studded Warriors, who seem content to coast except for a few big surges in each game. They also consider what LeBron James will have to do to further lead his team in this series, after dropping a 51-point gem in defeat. How about the Washington Capitals? Did their Game 2 win over Vegas in the Stanley Cup final — which is tied 1-1 — finally break their playoff jinx? Host Greg Swatek makes a triumphant return from his unscheduled week off, and delves immediately into an NBA conference finals discussion with sports editor Josh Smith and features editor Colin McGuire. Are the Warriors in trouble? Can the Celtics pull off two more wins against LeBron and the Cavs? And what about the new NFL rules? Will kickoff returns increase or decrease? Will players still find a way to protest social injustice even though the league is now requiring them to stand and show respect for the flag during the national anthem? With the Preakness in the books and Justify on his way to the Belmont Stakes, there's talk of him being better than American Pharoah. Can he pull off the Triple Crown despite getting pushed so hard in Baltimore? Without host Greg Swatek there to hold their hands, Colin McGuire and Josh Smith manage to keep the podcast on the rails. The pair of editors discuss whether the Caps are in trouble in their series against the Lightning, whether LeBron is LeDone with the Cavs, and whether James Harden or Kevin Durant is the better offensive player. They also delve into their favorite Preakness memories, and ponder if Justify can handle the eight-horse field this Saturday to continue his Triple Crown bid. How excited is Colin that legal sports betting might be coming to a state near him? How quickly will it ruin his life? These questions — and more — are addressed in this week's episode, sans Swatek, who should return next week. On this week’s episode of Just Another Sports Podcast, sports editor Josh Smith, features editor Colin McGuire and host Greg Swatek review the NBA playoffs, the Capitals milestone win over the Penguins and why Steelers quarterback Ben Roethlisberger might be the worst person in all of sports. With the Cavs and Celtics and Warriors and Rockets closing in on the NBA’s conference finals, who do the guys feel is the team to beat? What has been the most impressive aspect of LeBron James’ run of outstanding play, and will this be his greatest achievement if he can push this Cleveland team into the Finals? Plus, the Caps are the first D.C. team to reach the conference finals since 1998. Will they stay hungry against the Tampa Bay Lightning? Or has a mission-accomplished feeling already settled over the team and their fans? And how does Ben Roethlisberger have the nerve to criticize the Steelers’ selection of a quarterback in the draft given his history of statements and actions? Taking a break from their usual routine, host Greg Swatek, sports editor Josh Smith and features editor Colin McGuire welcome a special guest, CBS Sports NFL insider — and hard-core Baltimore Orioles fan — Jason La Canfora. With the hectic NFL draft season finally behind him, La Canfora has plenty of time to devote to following the Birds, though there’s not much to cheer lately. La Canfora talks about what he’d do if he were the team’s general manager. Who should replace Dan Duquette? What does the future hold for Buck Showalter within the organization? Is La Canfora interested in making an offer on the mansion Cal Ripken is selling? As for the draft season, what is it like for La Canfora to cover an event that’s become so wildly popular even though selecting football players is such an inexact science? Will Baker Mayfield be the right fit in Cleveland? How soon will Ravens fans see Lamar Jackson on the field in the regular season? Is there really that much inner turmoil among the New England Patriots? Does a reporter like him get an offseason? Plus, Jason talks about how, in his career, he has been blessed to work with so many inspirational examples. With the NFL draft upon us, the quarterback prospects are thrown under the microscope on this week’s episode of Just Another Sports Podcast. Do the comparisons between Baker Mayfield and Johnny Manziel have any merit? Which of the top QB prospects will have the longest shelf life in the NFL? Sports editor Josh Smith, features editor Colin McGuire and host Greg Swatek share their thoughts. Plus, can the Wizards knock off the Raptors in the NBA playoffs? Should Orioles and Nationals fans already be alarmed at this early stage of the season? And will the proposed reforms for the NCAA make any difference? Next week, the guys will break down the NFL draft and discuss other topics of interest with CBS NFL insider Jason LaCanfora.